Could Second Life expand the LEA model to create a Role Play endowment? My recent post on the results of the survey about land ownership has attracted some interesting comments – and one of these is a suggestion that Linden Lab should extend the model created for the LEA into other areas, notably role playing, a popular Second Life activity. What is the LEA model? LEA1 through LEA9 are the original, permanent LEA regions. LEA1, LEA2, LEA3, and LEA4 are general long-term exhibit regions. LEA10 through LEA29 are a long-term temporary endowment from Linden Lab, used by the LEA as Full-Region Land Grants. From an outsider’s perspective, some of this seems to work better than others. The Committee (originally chosen by Linden Lab, but now self-perpetuating in that the current committee invites others to join it) oversees the sims and regularly holds an application process for land grants, leading to residencies that can last 5 – 6 months. The Committee has endeavoured to be as transparent as possible although there are inevitable complaints of cliques and elitism. That’s going to happen whatever, however. There are two of these. 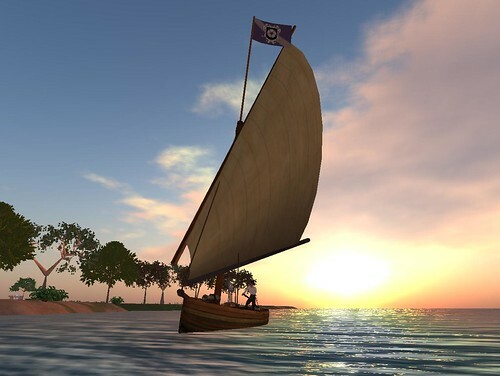 The first is the Blake Sea, which is designed to facilitate sailing in Second Life. This is a group of some thirty sims that were created specifically for sailing activities in the wake of the notorious Open Space debacle, when Linden Lab raised the price of Open Space sims by 60%. Realising that this could cripple the large (and vociferous) Second Life Community, as special partnership was created between the United Sailing Sims, many of whom were moved so that their estates now border the Blake Sea, thus leading to a large area where people can live, sail and race – and also fly, as the Blake Sea area is also excellent for air navigation and hosts a number of Second Life airports. There are areas designed for racing – and casual sailors are asked to respect racing areas. There are areas for combat too, with pirate communities close at hand – although sometimes the divergent needs of the sailing community does lead to problems – as with the appearance of large battleships of World War 2 vintage this last summer. The second programme relates to the perhaps less well known Global Online Hockey Association (GOHA), who were invited to become involved in a special Linden Lab project called the Community Partnership Project. This was announced as a collaboration focused on expanding Linden Lab’s relationship with large inworld communities, to improve the Mainland and create a rich and innovative overall Second Life experience for all. 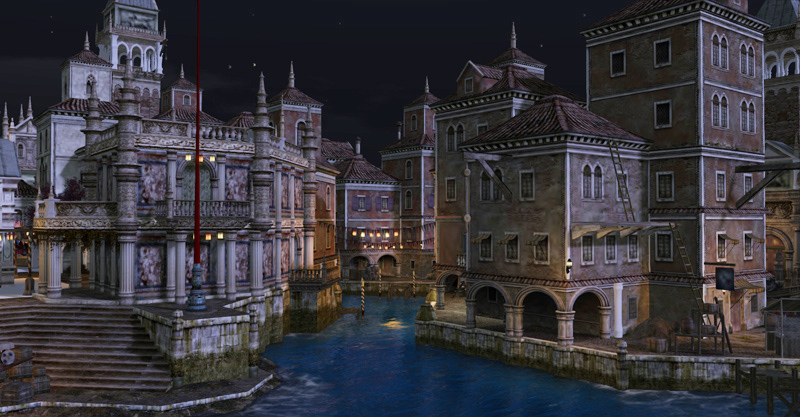 The CPP provided additional space which resulted in expansion off the coast of the Snow Sims of Sansara (the original mainland continent), with a bridge connecting the 6 sims at Braggiani. This area was named Chamonix City, after the site of the original Winter Olympics, and consists of Off Sides, Neutral Zone, Cross Check, Empty Net, Breakaway and Blueliner. Along with the original rink on Jericho Hill, rinks now exist on Blueliner and Empty Net. Spectators can view the games from Cross Check on the north and south edges, overlooking the rinks. Chamonix City also offers skiing, snowboarding, ice skating, hiking trails, freebies, balloon rides and has several other winter sports projects in development as of 2011 including bobsledding and played a key role in the 2010 Winterfest. Since then Linden Labs have no longer been involved in Winterfest – I’m not sure if GOHA have continued to hold it (the latest news on their website appears to relate to a hockey match back in 2011, and the latest news on the Virtual Sports News blog, to which they are linked, appears to come from December 2011. The GOHA Forum appears to be thriving, however, and matches are continuing. But (especially as the Forum is private), I’m unsure to what extent the outward-facing programmes like Winterfest are continuing. The six sims are currently undergoing a major renovation, targeted to last from October 2012 – March 2013. I’m probably more used to Expo/RFL building speeds where amazing creations are conjured from flatland in a few days, but this does seem an unusually long period to me, and, presumably, also precluded the possibility of Winterfest 2012. So, could these programmes be extended to cover roleplay? One immediate difficulty, it seems to me, is identifying roleplay. To some extent, one could argue that everyone who takes on an avatar that is not as close as possible a representation of their form in the physical world is taking part in a roleplay. However, perhaps one could employ a stricter definition – that one must be taking part in a roleplay which is mediated by a HUD (Heads Up Display system – often used to control combat or points within a game). But many sporting events make use of a HUD too, and there are blurred boundaries – is being a giant snail any less fanciful than being a cookie-loving dragon because you do it purely for sport whereas dragons do it for games and lifestyle? Then there is the sheer diversity available. Let’s take a small example: there’s the strict rules of 1920s Berlin, which recreates Weimar Germany. 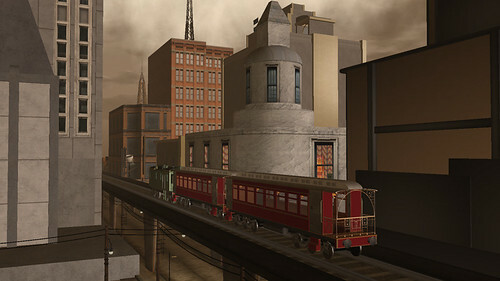 Then there’re sims like Chicago which are scripted to re-create the lawless times of Prohibition. And then there’s the dieselpunk of Seraph City, which has something of the same aesthetic but with yesterday’s future elements … And those are three individual sims. Could the Lindens really create something for each of them? Or do they risk being seen to act as favourites? And that’s before we get into the varieties of Victoriana/steampunk/baroque/vampires/elven/medieval/Viking … or the adult roleplays ranging from vampires to Gor. But an area where roleplay could be showcased – as artists are showcased by the LEA – that is an interesting concept. Perhaps two or three at a time, given a sim and the option of running a roleplay there could yield some interesting results. But on the other hand, there may be some reluctance to take this on. Some of the strongest roleplay communities were involved in the Community Gateway programme and invested thousands of dollars in it – only to see it closed down with eighteen hours notice. Their enthusiasm for commitment to new Linden programmes might be – to say the least – limited. Increasingly, and sadly, one has the sense that for Linden Lab/community engagement, the parade has gone by. Even if the Lab want to initiate projects, do they really know who to talk to, apart from largescale landowners? 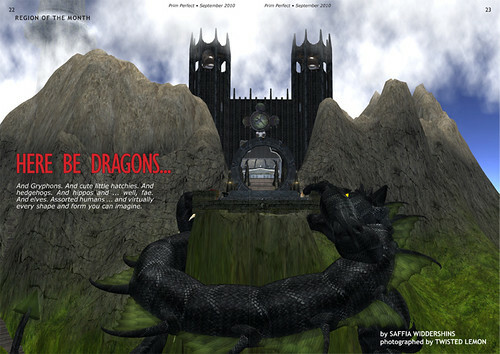 When they tried to persuade the LEA to broaden their role into community engagement and take on SL9B (and other events), the organisation – which is really focused on art and artists in Second Life – came close to falling apart. Increasingly, people who are busy using Second Life in creative ways are looking upon Linden Labs as the providers of a platform rather than as potential collaborative partners. It’s a long way from where the Second Life project started. So could roleplay be showcased in Second Life, beyond being featured in Destination Guides? The attempt to utilise roleplaying areas as entry points without community gateways was pretty awful, as Botgirl Questi memorably demonstrated. But as a way of encouraging existing residents to sample different roleplays, it could be interesting. Would it need a full LEA type experience, or perhaps a series of Hubs? I’ll be interested to hear what you all think! Sounds like a reasonable idea, but what’s in it for LL? If they are going to provide all the user experiences via land grants where does the money come from? LEA might have been a good idea, but one of the ‘side effects’ has been the closure of most of the art sims, galleries, etc that were on private land and a ‘corporatisation’ of the virtual art world by concentrating it in the hands of a few. While some see that as a win for virtual art it’s got to be a revenue loss for LL. While the real estate model for SL might be on the way out LL are yet to come up with any replacement. So…….would you pay to be entertained on LL owned RP sims? Can LL maintain SL as a free service where, to have a great experience, make and see art, build, fly, sail etc etc you don’t have to pay anything.? So what next? Advertising or entry fees? I think saying that ‘one of the ‘side effects’ has been the closure of most of the art sims, galleries, etc that were on private land’ is not only incorrect (there are lots of galleries still about), but also the blame for those who have closed cannot be laid at the feet of the LEA – especially considering where Saffia’s original discussion is coming from. Private patronage can only last so long considering the rising cost of sims. 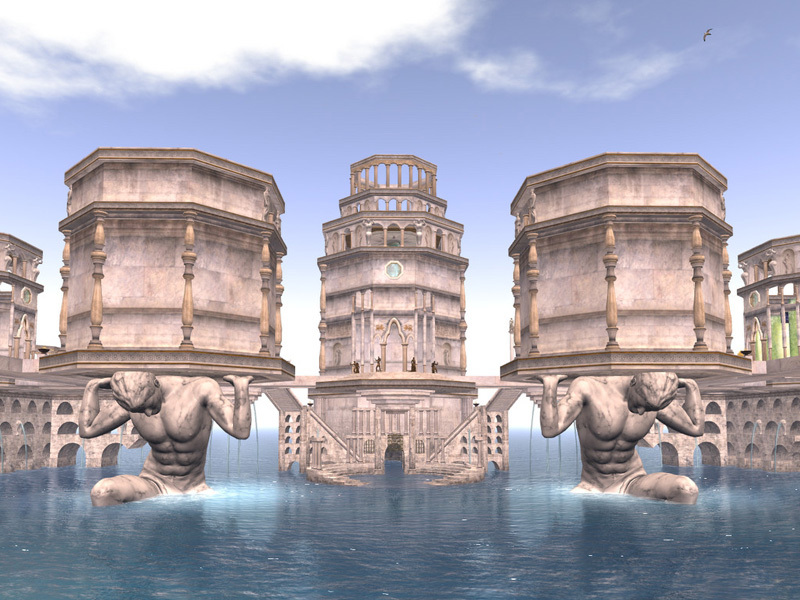 It is also worth noting that some of the very best art in SL is that which cannot be sold – and hence cannot be self-sustaining – such as the large-scale immersive builds (for which the LEA can provide space gratis). And so those wonderful places that sponsored these full-scale exhibits did so out of their own pockets. Also, art exhibitions that are selected by committee are not ‘corporatised’, they are juried, which is a common activity in the art world. And committee-based selection is rather more democratic than exhibitions produced by a single curator, don’t you think? What the LEA is currently doing is based on real-world models of arts administration, so let’s not try to paint it as some sort of closed and corporate system. It might have corporate sponsorship via LL, however it is a community run-effort. And I think the idea of doing something to organize roleplay sims would be a great boost for SL. A committee that could pick roleplays to showcase. A few centralized spots to get info and classes for them (there is already a sim that tries to do some of this, you can go there and get LMs and notecards to a vast array of different RPs. If needed, when I’m next online I will look up where it was… 🙂 ). Or even whatever deal LEA gets (does it get one? ), should be done for the RPs in this also. 1 – 4 semi-permanent. The top ones by activity that the committee finds of quality to be showcased (because if we just looked at a traffic score, someone would game their way into this list). 5-9 revolving quarterly. Showcasing the new and/or different. Places that “break the mold” or do something the committee finds of great value or which pushes the artform forward. 1/4 classrooms with volunteers on a schedule like NCI does. 1/4 shops that cater to RPers. Half of this reserved for freebies. 1/4 Open / management space. I’ll restate here what I said over in plurk: I don’t think LL making endowment sims for roleplaying would be appropriate. The LEA supports what might be seen as a charitable venture in RL terms, and though I DO see it could be a model for other charitable ventures, roleplaying and gaming would not be something I would include in things LL should support gratis. However, an amazing loophole would be for a gaming content creator to submit an LEA application to create an artistically immersive sim for a short-term adventure. Mad Pea or the creator of Venexia immediately come to mind. I personally would love to see that! Especially as the LEA has been actively trying to expand the scope of activities to make sure that ‘s’ in ‘Arts’ is covered (music, performance, film, etc.). I can see the potential for something to fall under that umbrella. I think it would be grand to see another land endowment for the many charitable groups though, or, HERE is a crazy idea: a Linden Endowment for EDUCATION! Remember those crazy kids who liked to use SL to teach, then had to leave when their discounts were pulled? Those are I think valuable efforts that should be supported, but much as I love gaming/roleplaying, I couldn’t in good conscience say an endowment should be created for that. I’m not sure that an Endowment for Education would work – generally speaking, educational establishments would want greater stability and, to be honest, I don’t see why they should get it entirely free – although I am certainly in favour of an educational discount; it benefits us all by their bringing quality content onto the grid. However, the horse may already have bolted on that one – with cheap land on Open Sim or housed on their own university servers, they may not want to return to Second Life. I think that if Linden Lab want to promote Second Life as a gaming platform (as the Stream platform would suggest) having an arrangement that leads people easily to what is brightest & best in the way of rp would be cool. But the Lab need to see a benefit from it, just as they do from any area they partner with. The benefit could be economic or reputational – if that reputational benefit were to lead to an economic one. In that sense a roleplaying endowment – along the lines of what Pussycat is suggesting – could be beneficial. And a similar one for nonprofits would certainly be a good idea. I respectfully disagree, simply because if you are going to give your services away for free, it seems smarter to find a way to do it for something like education (which needs the support), over gaming (which, if good, people will happily pay for). LL used to give discounts to non profits and educational institutions, which they ended. Many educational programs have moved to Open Sims and I doubt they are coming back to Second Life. Why would they? I can recall the LEA discussions and I can recall pleading with a Linden that any such venture should not be ignore those already supporting the arts inworld, unfortunately it did. However I can see no reason why this could not be extended to roleplaying in some form, there would need to be some sort of criteria and application but a discount could be granted, for example if after x amount of months you hit certain targets / welcome new users, then you get a tier refund. Roleplaying, like art and games, suffers from high tier costs stifling creativity, every effort should be sought to encourage people to create venues that provide people with things to do.